Aasha is a Non profit Ngo formed by caregivers/families of persons with mental illness. 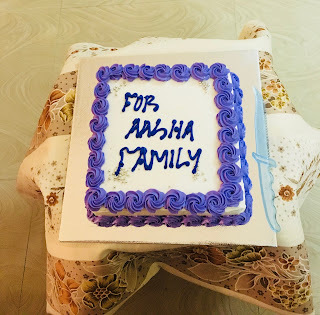 On International Day of families, Aasha being an organisation formed by families of people with mental illness decided to celebrate the importance of families in our lives. 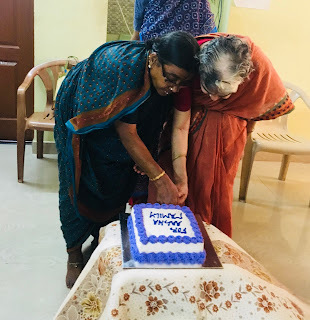 Caregivers gathered at Aasha home, shared their stories and spent time with the residents. 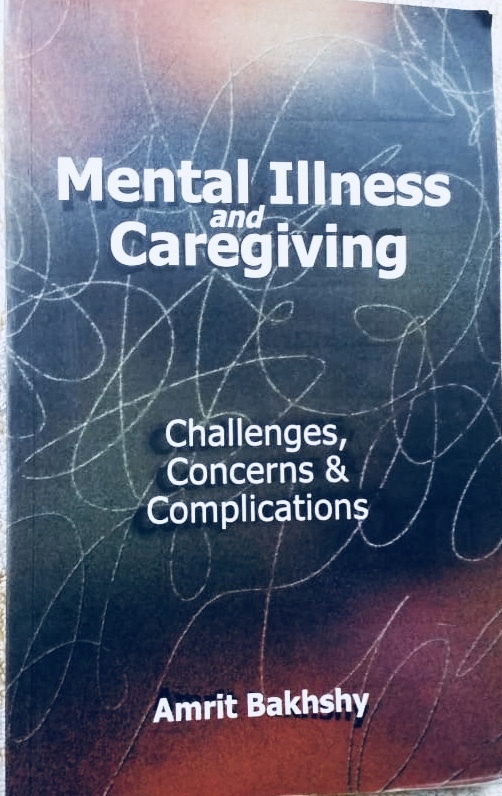 The book 'Mental Illness and Caregiving' written by Mr. Amrit Bakshi who is a caregiver and president of Schizophrenia Awareness Association was distributed to all the families. 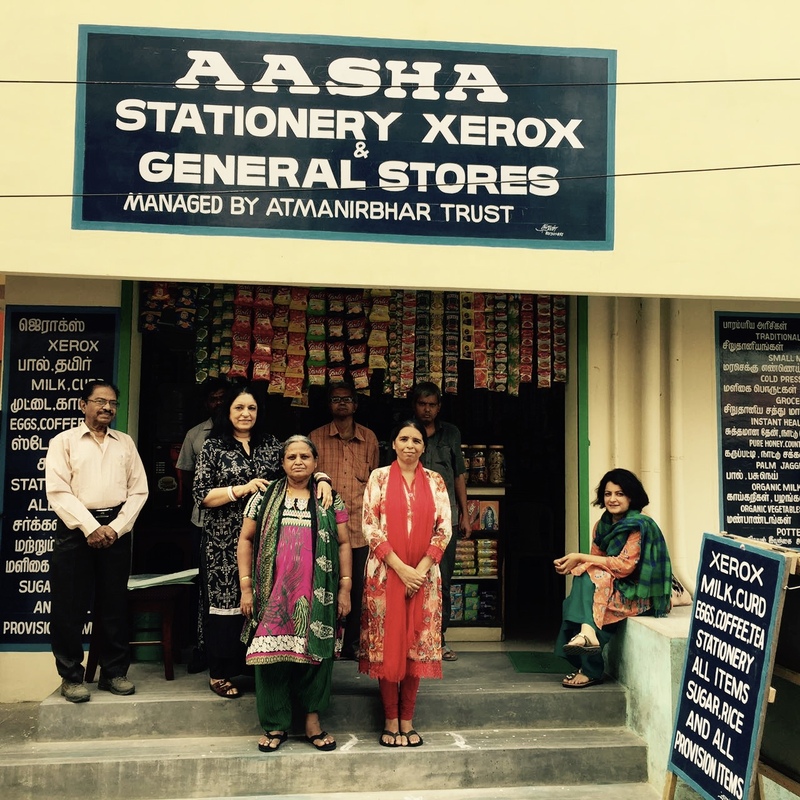 2018 has kept the residents of AASHA busy. 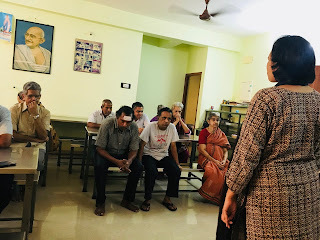 A dental screening was arranged for the residents, Humour club members came to the home to entertain the residents and the residents and staff went on a picnic to the Ananda Padmabaswamy Temple, Nehru Children's park and the Marina beach. Mr. Manuel is one of the founding members and Treasurer of AASHA. Here he talks about his journey over 43 years as a care giver to son. 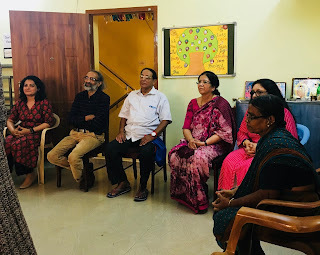 Mr Manuel, 82 shares the journey of his son Prabhu's schizophrenia diagnosis at 15, the societal exclusion after the diagnosis, finding solutions to cope and live. His biggest worry continues to be "Who will take care of him when I’m gone?" Being the father of child who has a mental illness is one of the hardest and most painful situations that one has to reconcile with in their life. It doesn't go away, it cannot be wished or prayed away, it can only be accepted. My son has been living with mental illness for the last 43 years. He has had no youth to speak of, no phases that he can move into as he grows older - just a haze of disordered thoughts, behaviours and medication. A fine looking boy who now looks like a shadow of his former self. I weathered all his storms with him except the storms that inhabit his mind. But I am his father and I love my child for everything that he is and will be. My only son Prabhu is 58 years old, suffers from Schizophrenia and lives in a residential rehabilitation home for life time care for people with mental illness. He was diagnosed at the age of 15 and has been on medication and rehabilitation ever since. My wife and I live by ourselves in the same city as him. We are senior citizens. I am 82 years old, a retired railway employee. Prabhu began to first exhibit symptoms when he was in school studying in the 9th standard. The school authorities called us for a meeting and we were told of complaints regarding his behaviour and decline in his studies. He was also showing signs of withdrawing from activities and keeping to himself. The School correspondent who was also a friend had been observing him and suggested that we should consult a psychiatrist. Initially I was angry with my son for his behaviour and with the school authorities for their complaints. The very night I brought my son back home we had an untoward incident. Everyone was asleep but around midnight something disturbed my sleep and I woke up to find Prabhu sitting up on his bed and muttering something to himself. I softly stroked his back and asked him what was wrong and why he wasn't asleep. He replied saying that he couldn't sleep because he was hearing voices of God commanding him about right and wrong actions. I pacified him lovingly and told him that we would meet a doctor the very next day and he would be alright. He fell asleep soon after. The following day I took him to the Psychiatrist attached to the railway hospital. After a lengthy conversation and evaluation, the psychiatrist confirmed the fact that he had a mental illness -Schizophrenia and prescribed medication. He was 15 years old. All of my good friends from different faiths advised me to visit their religious institutions like the Dargah, Church and Amman temple where prayers could cure my son. I listened to them patiently but I opted not to follow their suggestions. I made the choice of visiting the Psychiatrist and I still believe that was the right decision to make because after that I found my son sleeping peacefully and not spending distraught nights with thoughts that scared him. Within a week the neighbours around our house got to know about his mental illness and suddenly we became pariahs in the community. They stopped inviting us for functions and their visits decreased in time. Even my son’s friends who were his constant companions earlier, partners in games of games of cricket, volleyball deserted him. He was unable to study and so his education had to be stopped. He lived with us at home till the age of 27, working for some time in a manufacturing unit where he was able to carry out less functional activities. He then began attending the day care at a community home where he eventually has begun to spend the rest of his life. The medication continues, he has had many relapses over the years and received Electro Convulsive Therapy on many occasions. As with any parent my greatest fear is what will happen to him after I’m no longer alive. Who will take care of him when I’m gone? Even though I have arranged for him to live in a well functioning long term facility, I will always worry about him. Every weekend I visit him in the rehabilitation home and take his favourite food for him and we have him over to the house as much it is feasible for us. My wife is ageing and unwell too. 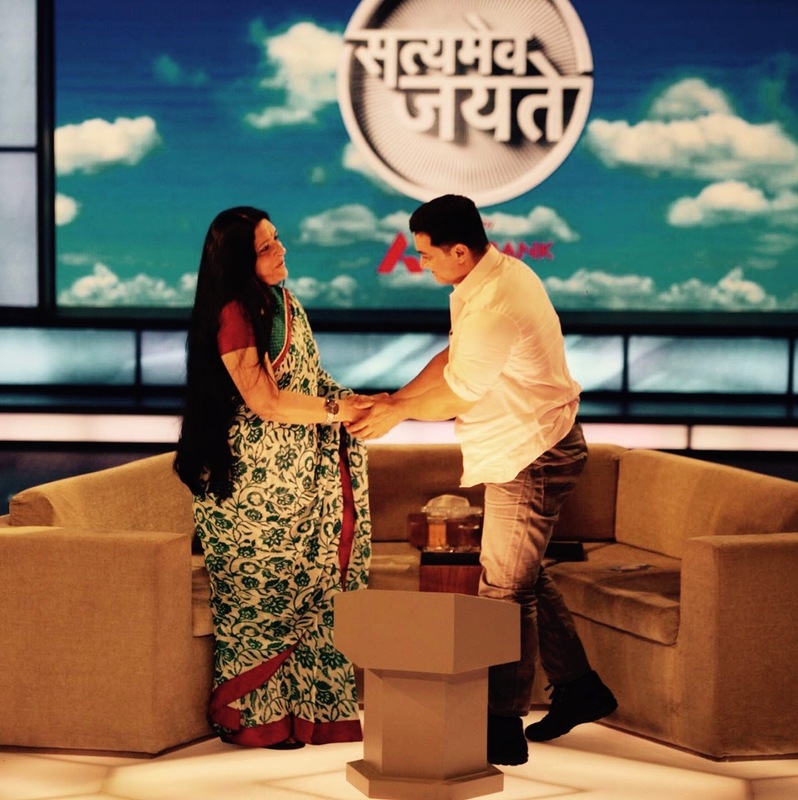 This journey has continued for the last so many years but some power keeps us going and keeps us near each other. Mr. Manuel is a member and treasurer of Aasha. Aasha is a ngo formed by caregivers of people with mental illness. Learn about Schizophrenia, symptoms, rehabilitation and fighting stigma. Ratna Chibber speaks about empowering people mental illness through employment. Recognising the Signs of a relapse of mental illness symptoms while at work. Severe mental illness like Schizophrenia and Bipolar Disorder can get better with appropriate care. But when it begins to raise its disturbing head again in a person, it tends to have a few telltale signs. Tanya Dutt, founder of AtmaNirbhar explains how it is important for an employer to recognise and manage these situations at a workplace. Work is an important part of our lives and well being and is a key factor in the recovery of a person battling a mental health issue like Schizophrenia. For a person with mental illness, being gainfully employed increases self-esteem,gives a sense of being valued and productive, helps in functionality and forming an identity. In an everyday situation our environment is filled with stress and unpredictability and a person will mental ill health might be vulnerable to certain factors which even with the timely management of the illness, could lead to a relapse of the illness. Relapses are the return of symptoms of the illness after a period of time when no symptoms are present. Is it possible to circumvent a relapse? As an employer of persons with mental illness, what are the five signs of a relapse to watch out for at the work place and what you could do in these situations. When the individual who has been fairly regular at work begins to take leave often or refuses to do any work preferring to do nothing for long periods of time, the supervisor should pay attention to signs of distress before the individual completely stops showing up for work. When the individual begins to suddenly show up at work in a dishevelled and unkempt manner for several days or if their personal hygiene is lacking, there could be a possibility of underlying distress. When the individual who has been relatively polite and articulate begins to display signs of aggression or withdraws into extended periods of silence, there is a need to address the situation. When the individual starts communicating in disjointed sentences, incoherent language or slurry speech, these issues should be addressed immediately. When the individual begins to verbalise their delusions in an effort to convince everybody around them, the possibility of a relapse is imminent. Ascertain whether the work environment is conducive to the individual’s performance or whether the individual is either overworked or under motivated to perform his work. Ascertain if there is any friction between individual’s relationship with co workers and managers. 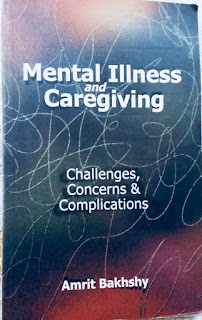 Communicate with the caregivers if required. Provide support to the individual to return to work once he gets well. At any point of time the supervisor/employer should have an open and empathetic line of communication with the individual. When signs of a relapse begin to exhibit the supervisor must be proactive in looking for the source of distress - whether the distress is environmental or organic and provide support as required. AtmaNirbhar is a non-profit that is focussed on creating gainful employment opportunities for persons with severe mental illness. 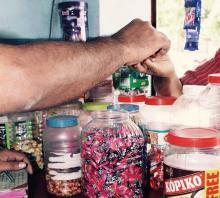 Atmanirbhar manages four retail stores employing 18 individuals with mental ill health. The recommendations above are based on the experiences at AtmaNirbhar. The Mental Health Care Act 2017 is a landmark bill that is inclusive and humane. Here are some of the salient points. 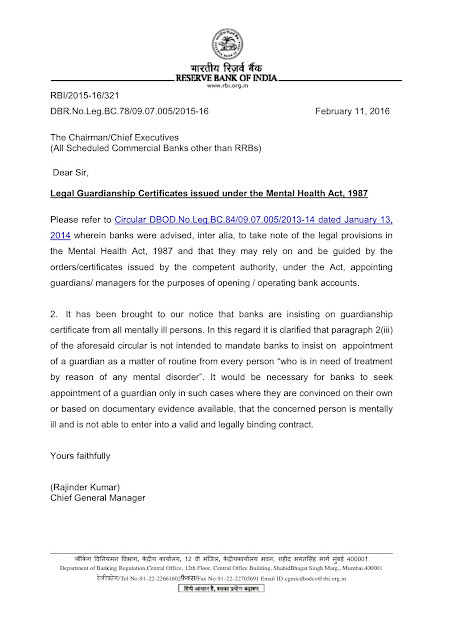 In March this year, in a landmark move, the Indian Lok Sabha passed a resolution in favour of those with mental illness. Mr.Amrit Bakhshy, President of Schizophrenia Awareness Association and a caregiver himself lists down some salient points. All medicines on the essential drug list shall be made available to PMIs free of cost at the establishments run or funded by the government. Sterilization of men or women, intended as a treatment for mental illness, shall not be done. Persons with mental illness and their families should keep a copy of the Act at home for ready reference and for detailed reading. 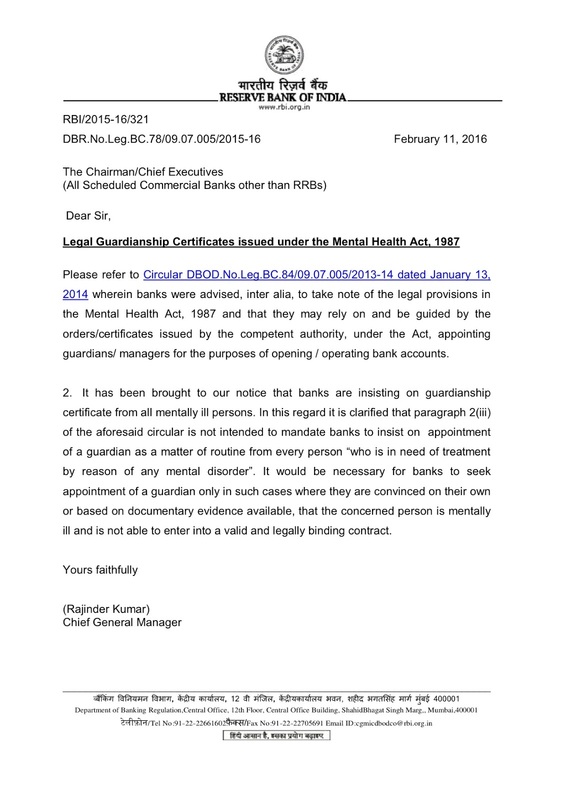 Guardianship Certificate NOT mandatory requirement for a person with mental illness to open/operate a bank account. Aasha is a Non Profit NGO promoted and run by caregivers(families) of/for persons with mental illness based in Chennai, India. Aasha Family was founded in 1990 by families/caregivers of individuals with mental health issues.